What Is Your Right to Discovery in Your Criminal Case? In television and movie dramas, courtroom hearings and trials can seem very dramatic when the prosecution introduces surprise witnesses and evidence. However, in real life, this does not happen in criminal cases. If you are charged with a crime in North Carolina, you are entitled to certain rights to discovery of the prosecutor’s case against you—so that you present an effective defense to the charges you face. Discovery is the process by which someone charged with a crime can obtain information from the prosecutor before they go to trial. Under the U.S. Constitution, a defendant has a constitutional right to be provided with certain evidence by the prosecutor. In addition, most courts require reciprocal discovery where defendants are also required to disclose some of their evidence to the prosecutor. Under the Constitution, the prosecutor is required to disclose exculpatory evidence within its possession and control. Exculpatory evidence is evidence that is material to the accused person’s guilt or punishment and that is favorable to him. It can include information that affects the credibility of a witness, such as if he was offered a plea bargain based on his testimony. Like other states, North Carolina has its own state procedures for discovery in criminal cases. While discovery is more limited in most misdemeanor cases, North Carolina has adopted an open-file discovery requirement in felony cases and certain misdemeanor cases that are joined with felony charges. This rule requires prosecutors to provide general disclosure of information and evidence to the defendant. What Information Could You Obtain From the Prosecutor in Your Criminal Case? In most cases, an experienced criminal defense attorney will file a formal written request for discovery. There are often specific time periods under criminal procedural rules for requesting discovery. In addition, the judge assigned to a criminal case may set a time period for the exchange of discovery materials so that the prosecution and criminal defense attorney have sufficient time to review the information and evidence before trial. This is often called the discovery period of the case, and information must be provided as it becomes known, even during the trial. While the prosecutor is required to provide a defendant with discovery, he is not required to disclose how he plans to use the evidence or his overall prosecution strategy in the case. What Happens If the Prosecutor Fails to Disclose Required Information and Evidence? If a prosecutor fails to provide the defendant with required discovery, the consequences will depend on the nature of the violation and the extent of the violation. When exculpatory evidence is not provided as required under the Constitution, a conviction could be reversed if it can be shown that the information would have had a material impact on the outcome of the criminal case. To establish a material impact on the case, a defendant would need to show that the evidence could have led to him being found not guilty. 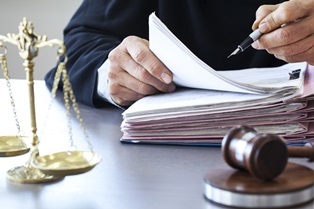 In other cases, the defendant may be entitled to a new trial or an adjournment of the trial if the violation is discovered before the scheduled trial date. Have you been charged with a crime? You need an experienced criminal defense attorney to request and thoroughly review all discovery materials available in your criminal case. To learn how our criminal defense legal team can assist you, start an online chat to schedule a free consultation.